One of the great success stories in the 2016 V8 Superlaps Production Touring Car Championship has been the rise of Bathurst’s Blake Aubin. Aubin, a Cricketer in his spare time, was a full-season series debutant at the start of the 2016 season. Four rounds later, and he’s one of three men who could walk away with the 2016 State Championship. Aubin and his Class C Holden Astra sit just three points shy of Matthew Holt, and the same margin clear of Chris Reeves at the top of the points table, ahead of this weekend’s MoComm Cup one-hour race at Sydney Motorsport Park. Aubin’s racing history is quite short. 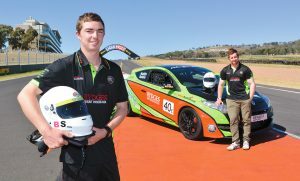 He started in Karts – racing Midgets until the age of 10, before turning his attention to a Cricket career, in which he and brother Kyle represented Bathurst in the Western Zone squad on several occasions. You don’t get Blake Aubin without Kyle Aubin – the brothers live together, travel together and race together. 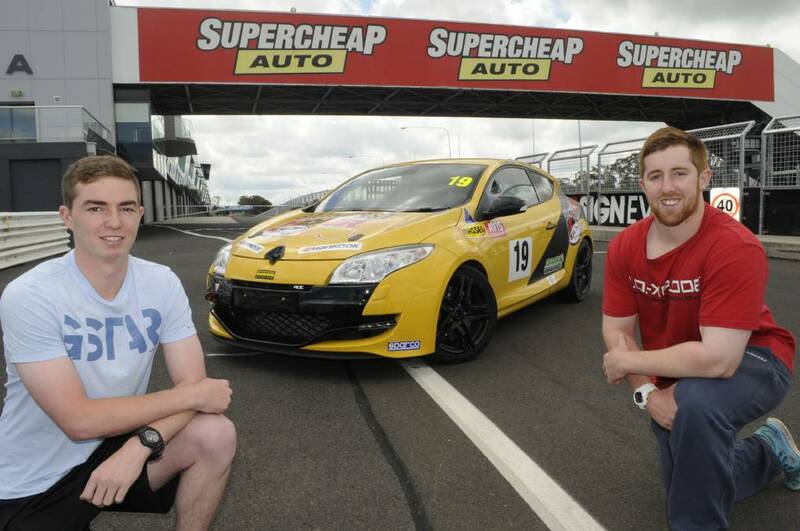 They’re the sons of local Bathurst councillor, Warren Aubin – a former Sports Sedan racer. 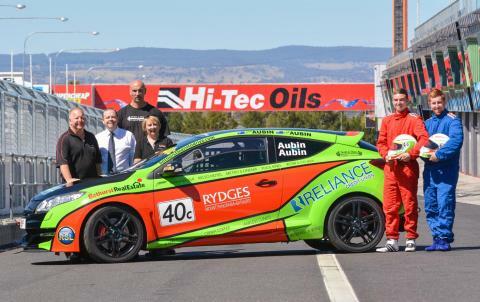 After Cricket, the pair returned to Motorsport, as the Aubin Brothers Racing team fielded a single entry in select events of the 2015 Production Touring Car Championship. From there, the campaign began to get Blake and Kyle to the Hi-Tec Oils Bathurst 6 Hour grid, in the Class C Renault Megane. That campaign included many hours of fundraising, working on securing some sponsors, getting the car set-up, and most importantly, having some time behind the wheel. All of that tireless hard work from the Aubin boys paid off on Easter Sunday, when they brought the Megane home in 14th outright, and 3rd in Class C.
From there, Blake and Kyle split up – Kyle stuck with the Renault Megane, and Blake moved into a Holden Astra, as the Aubin Brothers Racing squad expanded to two cars for the Production Touring Car State Championship. Since May, the team-mates have dominated Class C. Blake has won three out of four rounds in Class C, only losing out to Daniel Byron and Josh Muggleton in the opening MoComm Cup race of the season at Wakefield Park. Kyle’s season has been a little troublesome – he missed all three races in Round 3 due to issues with the fuel pump in his Megane. Other than that, he’s enjoyed strong finishes behind Blake throughout the season, and currently sits third in class (Adam Gosling sits 2nd) ahead of the all important final round. It’s not just the results that have been impressive for Blake and Kyle, but their race craft as well. 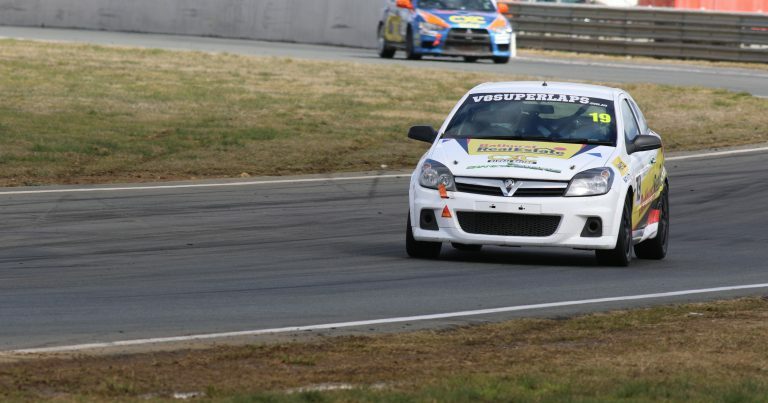 The pair have often enjoyed battles with drivers in Class D, like Chris Reeves, Matt Shylan and Jimmy Vernon. Blake and Jimmy haven’t been more than 50 metres apart for much of the season, as they’ve constantly been caught up in battles for track position that have held the attention of spectators and commentators alike. Aubin got the upper hand on Vernon in the last round at Wakefield Park – they have consistently proven to be two of the most improved drivers in the paddock in 2016. Blake Aubin sits 92 points clear at the top of the Class C points table – finishing Sunday’s race will secure class victory for him, and give him an almighty chance of holding the outright championship trophy aloft as well. Bathurst based friends of Blake and Kyle Aubin who can’t be trackside, can hear how the boys fair this weekend, by tuning into 2MCE on Monday night at 11pm, for a FULL REPLAY of Sunday’s race. Reeves Lining Up For A Tilt At History.